Dr Mandy is a private Clinical Psychologist who specialises in working with children and adolescents, and their families. She is committed to establishing a nurturing and supportive therapeutic environment in which the child can truly resolve their difficulties and improve their overall quality of life. Dr Mandy’s practice is based in Wallingford, Oxon and is easily accessible from all of Oxfordshire, as well as the surrounding counties of Berkshire and Buckinghamshire. 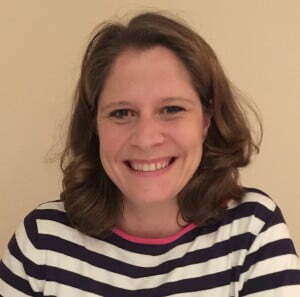 Dr Mandy treats children and adolescents experiencing a range of psychological difficulties, including specialist knowledge and experience of assessing and working with Asperger’s Syndrome, High-functioning Autism and ADHD. She has similar specialist experience in treating young people with Tourette’s Syndrome and other Tic Disorders using habit reversal training. Other areas of expertise include anxiety disorders, depression, anger and low self-esteem. Dr Mandy also works with toddlers and younger children and their parents helping with toileting, sleep, feeding and behavioural difficulties.